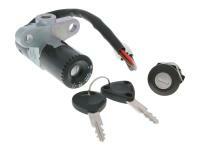 Complete igntion lock set for CPI SM 50 and SX 50. 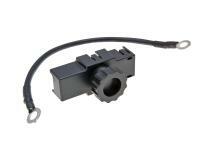 Excellent quality and price making this a perfect choice from the usually expensive OEM parts. 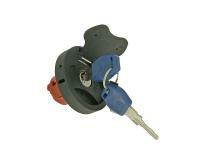 This lock sets cover all the locks and locking systems found on your vehicle and come with two new keys. Generally no alterations are required. Supplied as shown, but manufacturer alterations may apply.